Welcome back to the continuation of the Handmade Holiday Series featuring STYROFOAM™ Brand Foam. 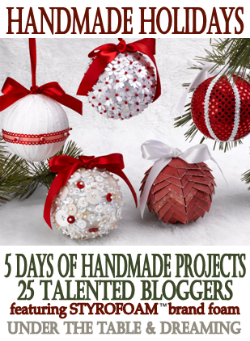 This week we are sharing a total of twenty five inspiring projects to create for the upcoming holiday season. We have seen quite a few topiaries in the series and honestly I just can not get enough of them. Each one has been made using a number of different materials making them great additions to fit in with any decor style. 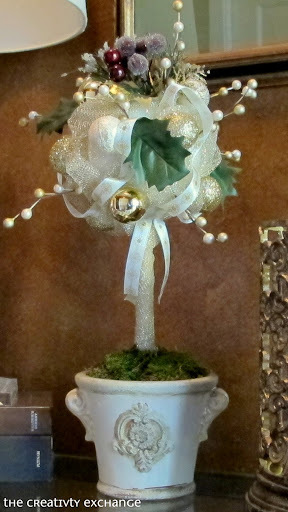 Cyndy is here today sharing her Ornament and Garland Topiary – taking on a more formal, elegant feel. Please welcome Cyndy. Thank you so much Stephanie Lynn for inviting me to participate in this fun series! I have loved seeing all of the amazing projects and am so thrilled to be here today! I just love the look of topiaries and I especially love holiday topiaries because they can be elegant or whimsical and either way, holiday means lots of sparkle and bling. 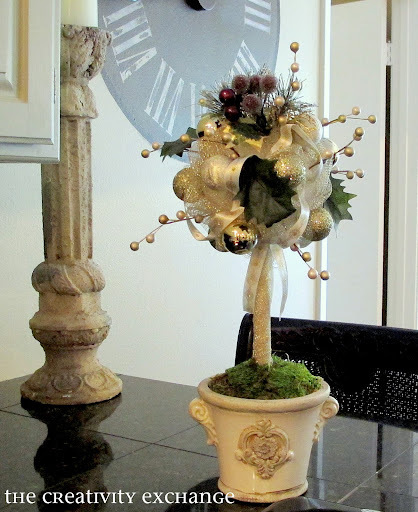 I wanted to make a fun little Christmas topiary for my kitchen and I have made them before using Styrofoam™ Brand Foam balls and they are super easy to create. 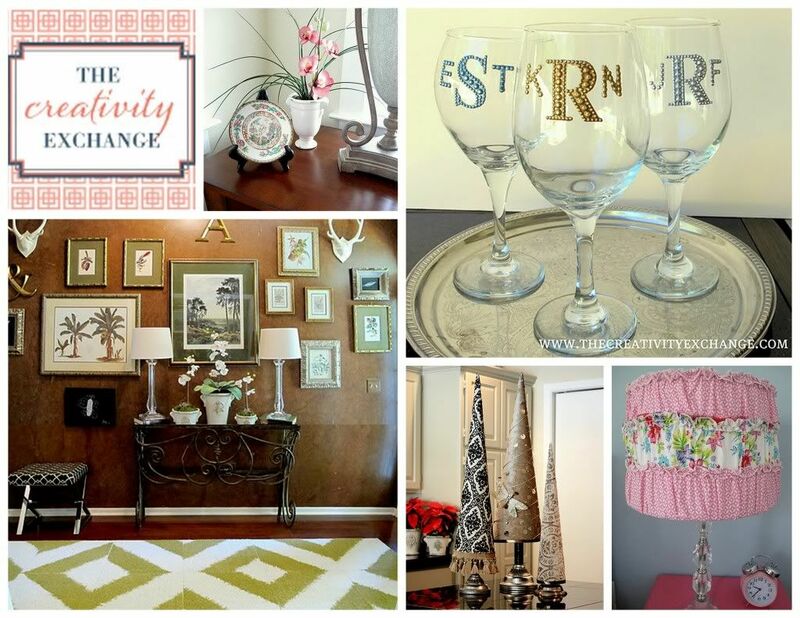 There are so many possibilities and color combinations with this project and it’s a very inexpensive way to really add a pop of elegant or whimsy. So let’s jump right into the tutorial! As your working your way around and gluing, you can rest the ball on a candle holder to keep it stationary. At this point, it is best insert the Styrofoam™ Brand Foam ball that is still attached to the dowel and place the ball and dowel into the planter and cover with just a little moss. I added just a little bit of hot glue to the top of my dowel (waited 30 seconds) and then I inserted my topiary ball onto the top of the dowel. Insert the sprigs strategically around the ball. Thank you again Stephanie Lynn so much for inviting me to participate in this series! 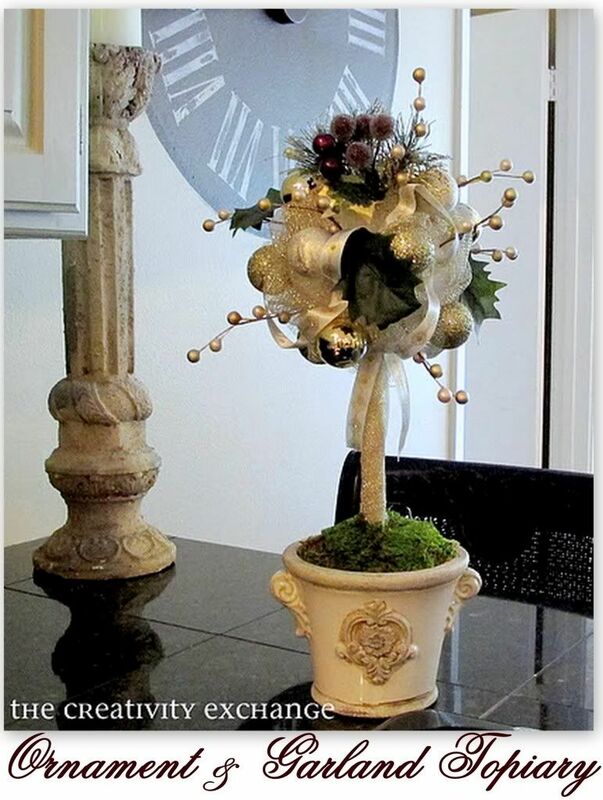 Thanks so much Cyndy for sharing your topiary. 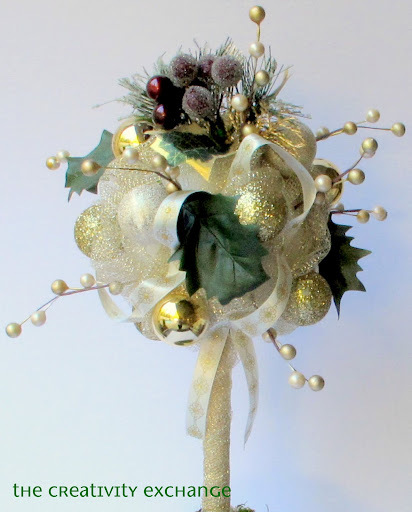 The finish look is so elegant and with the array of ornaments and ribbon available this can be customized to fit in with any color scheme or type of decor very easily. There is more in store…I’ll be back shortly. For a review of all the previous projects in this series simply click the event button above ~ Enjoy. STYROFOAM™ Brand Foam made exclusively by The Dow Chemical Company. blog Crafts ‘n Coffee as well as their Facebook page. Hi SL!! Oh, this is so pretty! I do believe I could do this! Thank you always for all of the inspiration. Now I’m going to go and check out this site. Thank you so much Stephanie Lynn for inviting me to participate! All of the projects have been absolutely amazing! This is absolutey stunning! SO elegant. Love it. Love this project! Even I can work with Styrofoam, thanks for sharing! I never thought I could make a topiary like this. It is so beautiful! Thanks for sharing and now maybe I can make one!